Petrochemicals are valuable products of which the production demands high efficiency. This involves significant amount of oil containing installations where oil contamination and water are a big challenge leading to unwanted production stops. 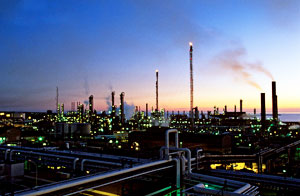 AkzoNobel Manufacturing performed a Sustainable Oil Survey throughout it s global organization. Triple R was recommended to assist the manufacturing plants for reducing maintenance costs and increase production output..